The Howard Hughes Corp. got approval from Hawaii regulators for its Ward Village Gateway mixed-use project, which will replace the existing Ward Warehouse shopping center in Honolulu with two high-rise towers having street-level commercial and recreational space, the Texas-based developer said Tuesday. The project, approved by the Hawaii Community Development Authority, which oversees the redevelopment of Kakaako, is the first residential and commercial development in phase two of the Ward Village master plan. 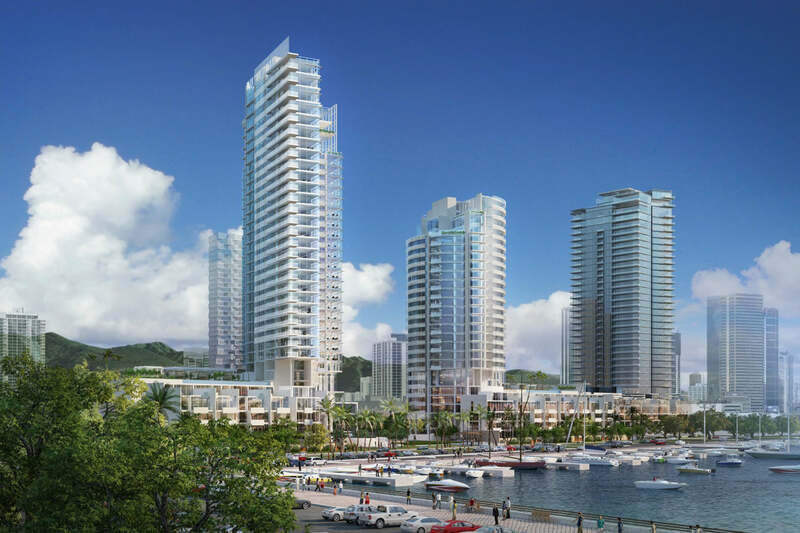 Located near its Waiea project along Ala Moana Boulevard, Ward Village Gateway will include a one-acre public park, a total of 236 residential units in two mixed-use towers and about 20,000-square-feet of retail along Auahi Street. Ward Village Gateway will be designed by well-known architects Richard Meier & Partners in collaboration with executive architect, Architects Hawaii, and a team of local consultants. The public park will serve as the start of a planned four-acre public park that will open up a pedestrian connection from the heart of Ward Village to the center of Kewalo Basin Harbor. The park will include water elements flowing towards the ocean, public seating, native plants and walking pathways. Ward Village’s phase two also includes a flagship 50,000 square-foot Whole Foods Market and additional retail space as part of another residential project.